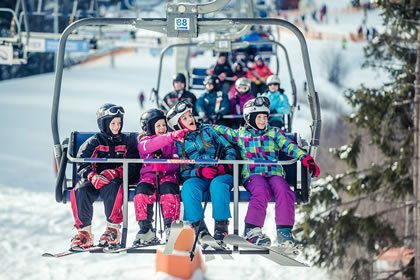 Lipno Lake Resort offers special equipment and services for the stays of families with children at Lipno and has been rated 3 smileys according to Kinderhotels´ European qualitative chain. The resort´s mascot, lake dwarf Witek, will make sure that your kids will feel right at home at the resort and will take away only the most positive experiences and memories. 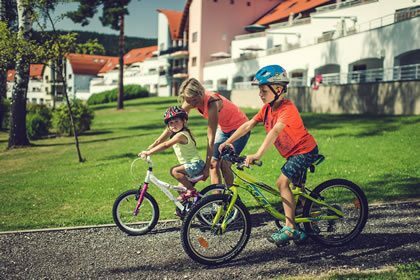 Lake dwarf Witek makes sure that selected luxurious family-friendly apartments are equipped for full comfort and children´s safety. It is further possible to hire non-standard equipment at the reception at a cost noted on our pricelist. Resort´s newly reconstructed outdoor pools are making a big splash! Our guests´ wish is our command and we have filled our pools with salt water, as it is much more friendly to your and your kids´skin. The pools are located in the park right below the apartments and their unlimited use for the resort´s guests is of course free of charge. Loungers and parasols are available free of charge also. The pools are heated and are open from June to September. Pool-side kiosk will indulge you with many refreshments and soft cone ice-cream made of fresh fruit. 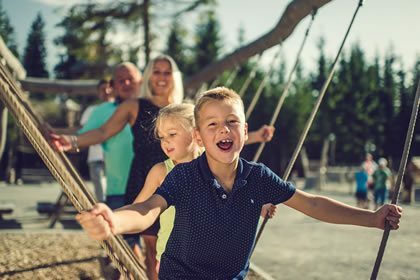 A playful and fulfilling animation programme for the kids staying in our resort is prepared for each week during the summer holidays. Trained and experienced animators have heaps of games, competitions, skilful activities and other fun at their fingertips, which the whole family can enjoy. A half-day big family game of the dwarf Witek takes place once a week. All animation programmes are free of charge for our guests. *Notify us when making your reservation. Accommodation in our child-friendly equipped apartments is a subject to CZK 380,- fee. Large children´s playground, children´s corner, multi-purpose sports field, ice-skating rink, mini golf, sports equipment rental shop, bonfire place, laundromat. The lake´s dwarf Witek has created a large kids´ playground full of various fun attractions, children´s corner with many toys, multipurpose AstroTurf sports field (which transforms into an ice-skating rink in the winter months), sports equipment rental catering for children and a bonfire place for evening gatherings and sausage roasting fun. The resort also provides laundromat with a clothes drier. The reception staff can provide the following at your request – baby monitors, children´s toilette seat, nappy changing table, thermometer, baby bath tub, additional child seats, playpens or cots.